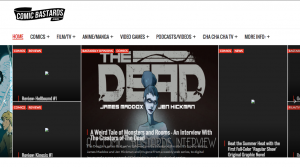 Comic Bastards posted an interview with me and Jen Hickman to follow up their review of DEAD#3. Check it out as Jen and I discuss how The Dead came to be the weird tale of monsters and rooms that it is today! Click here for the interview link!